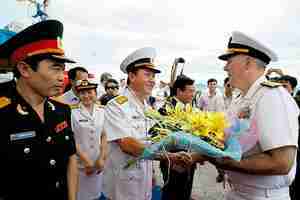 The U.S. and Vietnam launched a series of joint naval exercises on Friday. The exercises, which are confined to noncombat training, fall short of the kinds of advanced military exercises that occur between the U.S. and longer-term allies in the region, such as the Philippines and Australia. The U.S. strategy is a response to China’s recent military aggressiveness, and includes an expansion of training exercises in other parts of the region to include newer participants, such as Cambodia and Malaysia, in some programs, as well as the deployment of new hardware, including littoral combat ships in Singapore. Wall Street Journal (Access).